Traffic – Welcome to Wyandotte Daily! 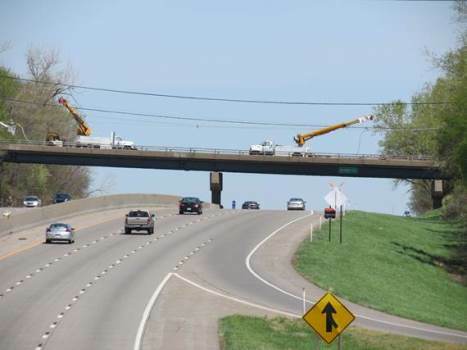 On Thursday, May 1, a project began to replace the bridge on southbound U.S. 73-K-7 over Piper Creek (located between Leavenworth Road and Parallel Parkway) in Wyandotte County. 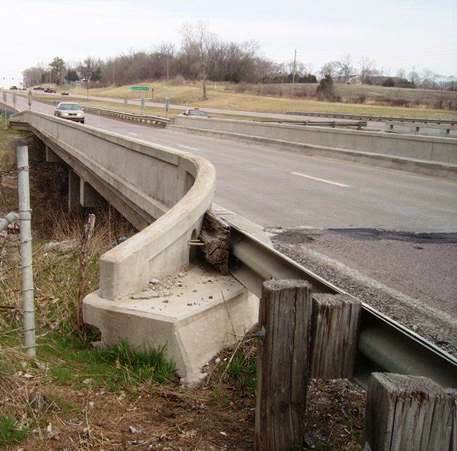 Project work includes replacing the existing 24-foot (2 12-foot lanes only) slab bridge structure with a 40-foot (2 12-foot lanes with 8-foot shoulders) haunch slab structure, according to a Kansas Department of Transportation spokesman. Work will take place Monday through Friday during daylight hours. Crews will begin by installing traffic control and temporary traffic signals at U.S. 73-K-7 and Leavenworth Road intersection. Then sometime in mid-May, northbound and southbound U.S. 73-K-7 traffic will be placed side by side, one lane each direction, in the northbound U.S. 73-K-7 lanes from Parallel Parkway to Donahoo Road throughout the project duration. Traffic will be directed via signs, cones and arrow boards through the project work zone. There will be a posted speed limit of 55 mph through the project work zone throughout the project duration. Drivers should expect delays, primarily during heavy peak time commutes, throughout the project duration. Updated traffic information for this project and all Kansas City Metro projects can be viewed online at: www.ksdot.org/kcmetro/laneclose.asp. Pyramid Contractors of Olathe, Kan., is the primary contractor on this bridge replacement project with a total contract cost of $1.844 million. The scheduled completion date for the entire project is late September 2014, weather permitting. Two accidents were reported on April 27 on highways in Wyandotte County. One accident happened at 7:23 p.m.at I-635 northbound at Metropolitan, according to a Kansas Highway Patrol trooper’s report. A 1996 Toyota was northbound on I-635 when it hydroplaned and struck the median wall, then entered the east ditch, the trooper’s report stated. A 22-year-old Kansas City, Kan., woman was injured and taken to the hospital. At 6:35 p.m. April 27 on I-435 just south of Kansas Avenue, a 2008 Mitsubishi was southbound in the center lane. It changed to the left lane and struck and unknown vehicle, and spun in the lane. It then struck the guard rail and came to rest in the median, the trooper’s report stated. A 21-year-old Lenexa, Kan., driver was injured and taken to the hospital, the report stated. On Monday, May 5, a replacement project will begin on the Gibbs Road Bridge over I-635 in Wyandotte County. Project work includes the replacement of the existing 40-foot steel girder structure (built in 1971) with a new 40-foot steel girder structure complete with sidewalk. Work will take place during daylight hours, Monday through Friday, with some occasional overnight and weekend work. Beginning on Monday, May 5, after morning rush hour, eastbound and westbound Gibbs Road from 42nd Street to 47th Street will be closed to all through traffic, round the clock, throughout the project duration. A marked detour will be provided. Traffic will detour via 42nd and 47th Streets to Shawnee Drive. Demolition of the existing Gibbs Road Bridge will begin on Monday, May 5, as well. The exact demolition plans have not been finalized as of yet. When the bridge is demolished there may be full roadway closures on I-635. A marked detour route will be provided. Traffic will detour via K-32 to 18th Street Expressway to I-35. Advance separate notification will be issued when the full schedule for bridge demotion work is completed. Northbound shoulder and southbound I-635 left lane will be closed for eight consecutive weeks for bridge pier construction work. Northbound I-635 will be restricted at this time to three 11-foot wide lanes. The posted speed limit will be reduced to 55 mph through the project work zone during this eight-week closure. Advance separate notification will be issued when the start date has been scheduled for this portion of work. Advance message boards will alert traffic to roadway closures on both Gibbs Road and I-635. Traffic will be directed via signs and cones through the project work zone. Drivers should expect delays and allow extra time during peak commute times on I-635. Phillips Hardy, Columbia, Mo., is the primary contractor on bridge replacement project with a total contract cost of $2.38 million. The scheduled completion date for the entire project is early September 2014, weather permitting.